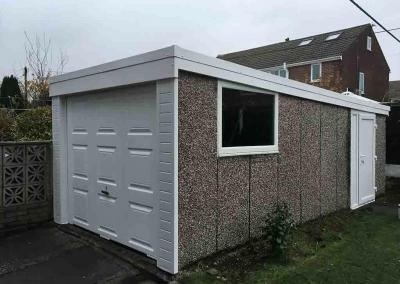 We are a nationwide provider of garage refurbishment services. 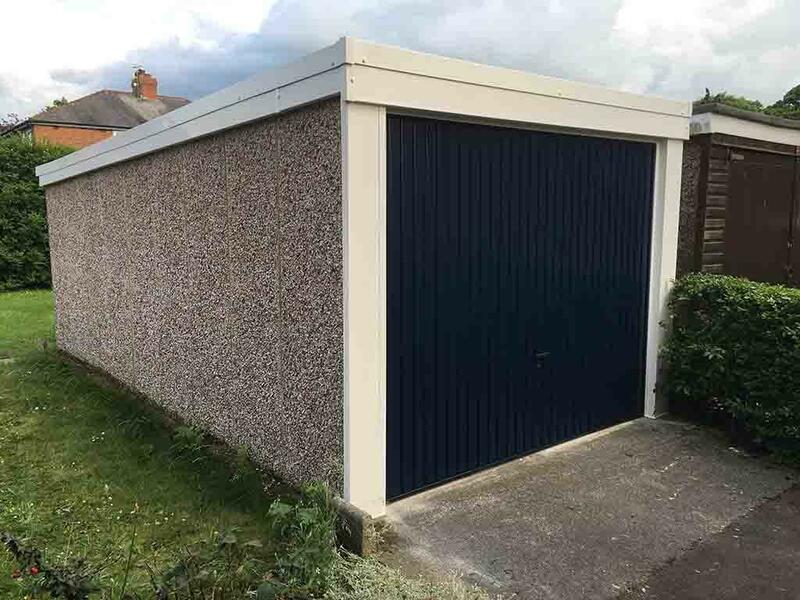 We replace Asbestos and non-asbestos garage roofs with modern, maintenance free garage roofing systems, In addition we offer a wide variety of garage doors including electric roller shutter garage doors. 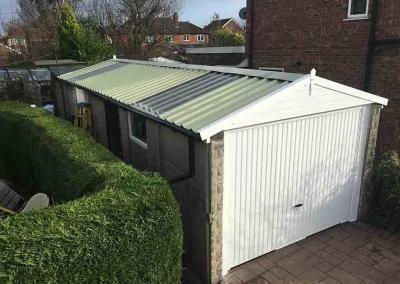 We specialise in the replacement of Asbestos and non-Asbestos garage roofs throughout the UK. 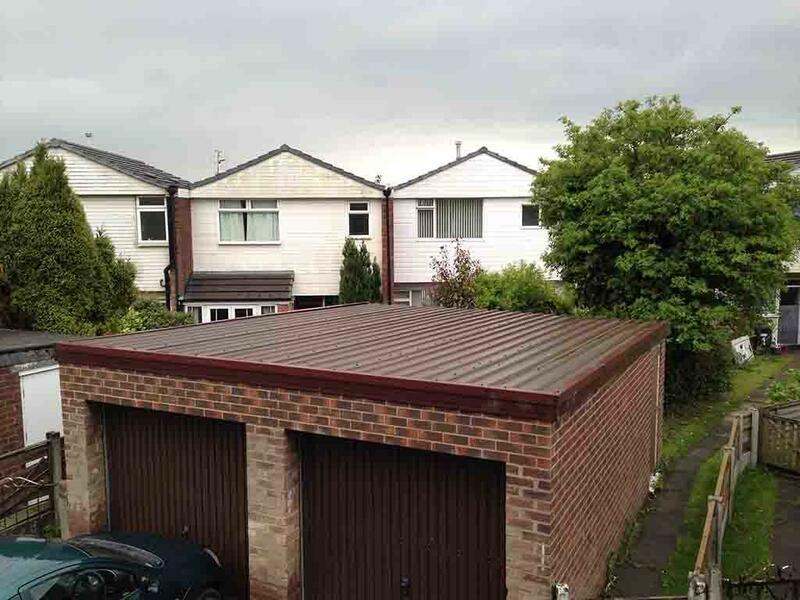 We offer hassle-free garage roof replacement quotations. 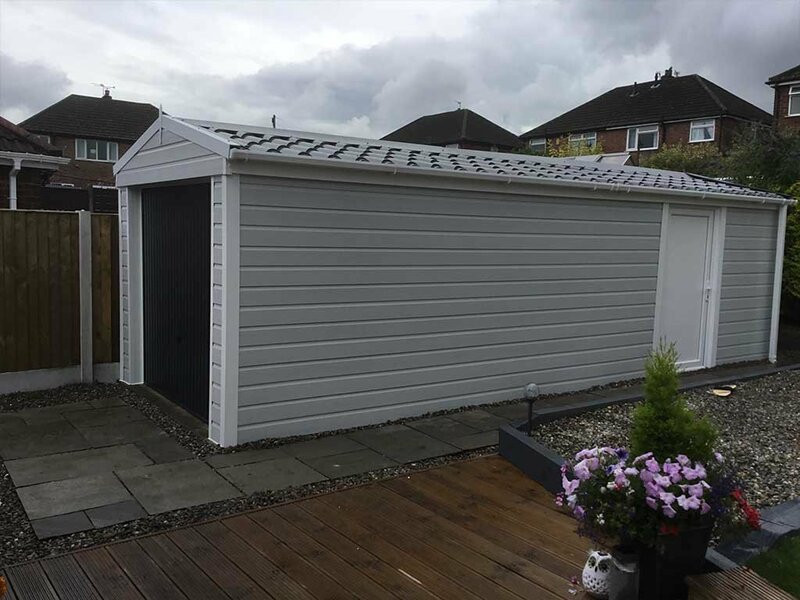 we can offer a modern alternative for any type of garage roof which will exceed your expectations without exceeding your budget. 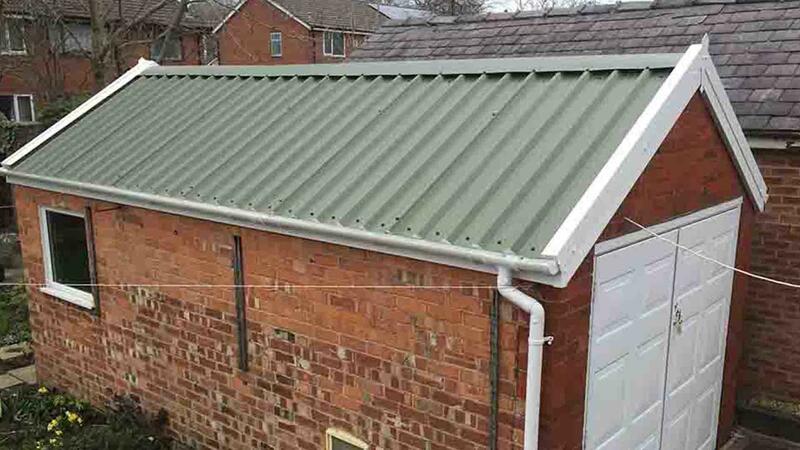 We install superior, low maintenance garage roofing systems to replace your ageing or damaged garage roof. 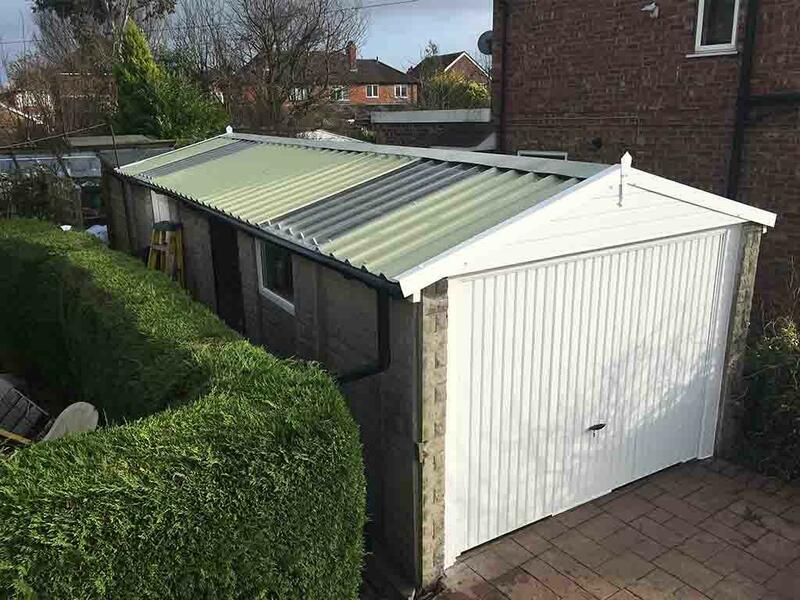 we can offer a modern alternative for any type of garage roof which will exceed your expectations without exceeding your budget. 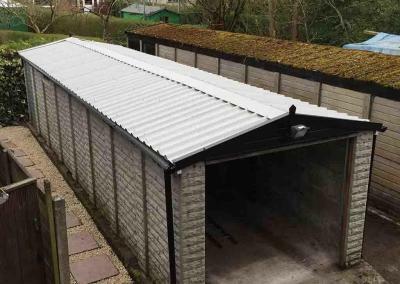 Our team of specialists can replace your existing garage roof in a single day in almost any weather no matter where you are in the country and the best part is, you don’t even need to empty your contents. 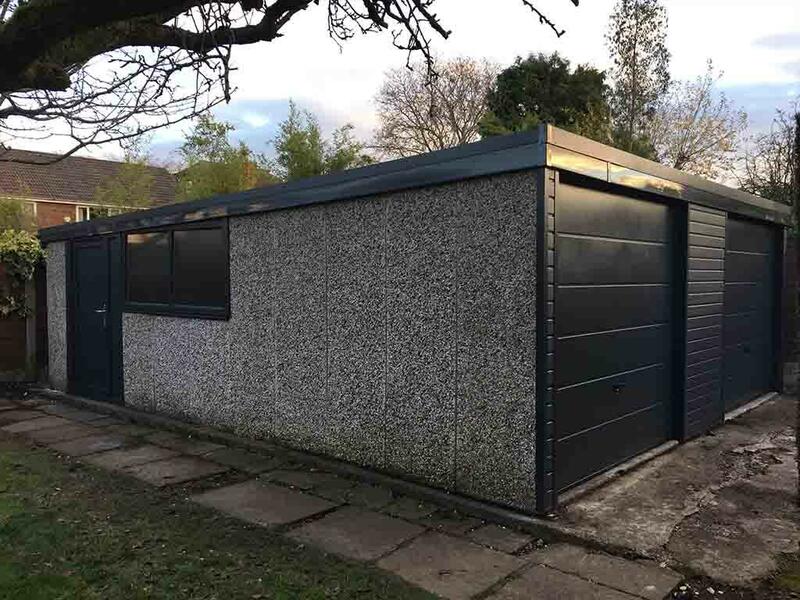 Long gone are the days when the garage was somewhere you parked your car every night, todays garage is a practical space which is either used for storage or converted into a workshop or hobby room, in these instances creating a comfortable space is essential. uPVC Windows and Personal Access Doors can be used to increase natural light levels in your garage whilst improving the overall visual appearance. All of our installation teams are trained by us and work solely for us, we do not use any third party companies to carry out work we have quoted for. As a general rule we don’t require any deposits or up front payments for domestic refurbishment projects, a small booking fee may be requested for products that are made-to-measure or projects that are under an accelerated timescale. Danmarque Garages use surveyors and estimators not salesman. 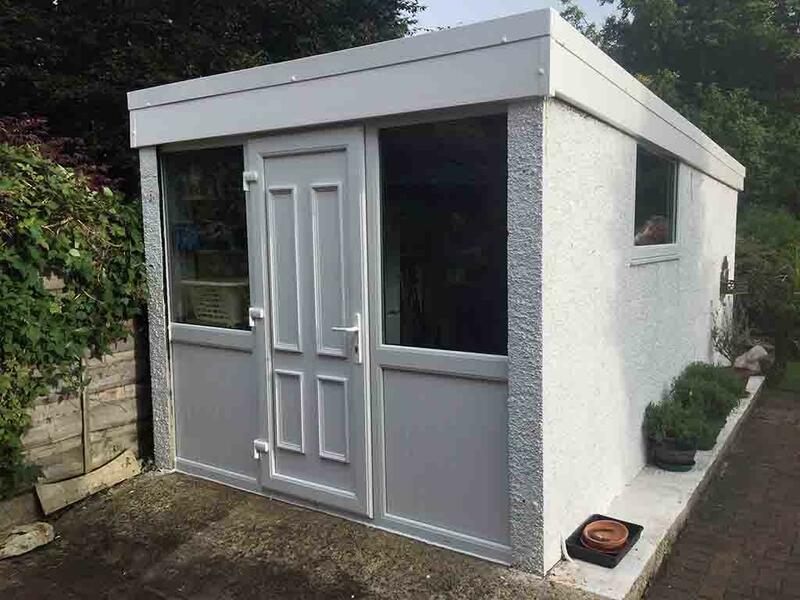 Our quotation system provides you with the cost of the project before the attended inspection so you know what your getting, and what your paying before you even answer the door. How long is your quote valid? All of our quotations come with no obligations or time restrictions. Payment is due in full upon completion of the project and presentation of the invoice. how long is your guarantee? We provide manufacturers warranty’s and a 10 year workmanship guarantee as standard with all projects. Do you do insurance work? We undertake a great deal of insurance work on behalf of our customers, Our quotations are designed to provide the additional information insurers require to prevent any unnecessary delays. Our installation team operate in full compliance of the Hazardous Waste (England and Wales) regulations 2005 and the guidelines stipulated by the Environment Agency governing the transport of hazardous material. What roof panels do you use? 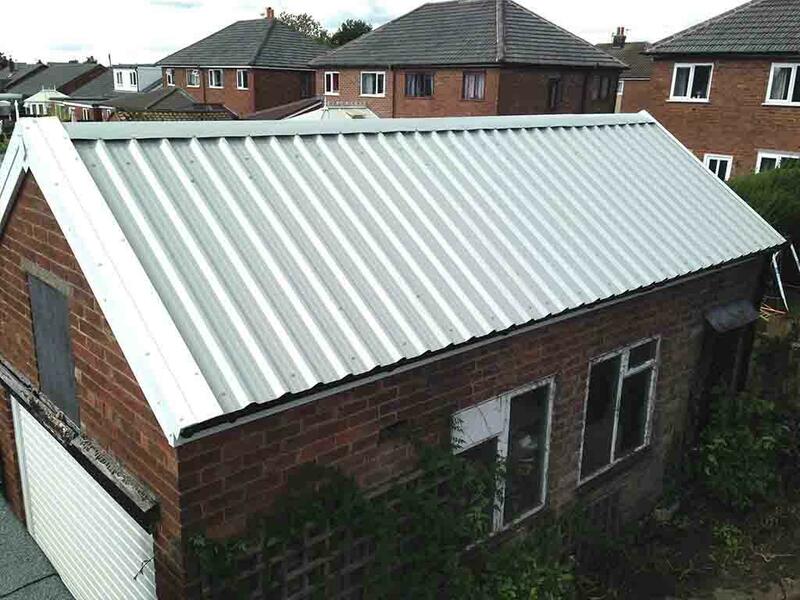 All of our roofing systems are based on a 0.7mm Galvanised steel profile roofing panel with a plastisol coating for added protection and reduced noise. All of our roofing systems come with an anti-condensation membrane fitted as standard. We always try to maintain a 3-4 week lead time throughout the year however this can increase to 5-6 weeks during busy periods. Most projects are completed within a single day however larger conversions maybe spread over two consecutive days if required. "Up at 4am, and with us in Corsham, Wiltshire by 9am. 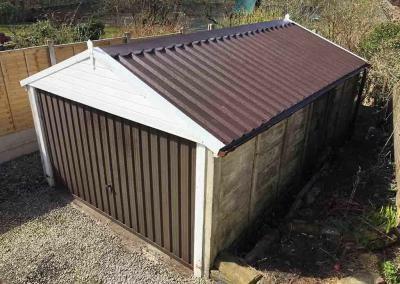 What a great job on our old asbestos roofed garage. It rained nearly all day, but Nickey and his 2 colleagues never stopped working. Highly recommended and a great price. Thanks Mark – for a great job done by your team. Regards." 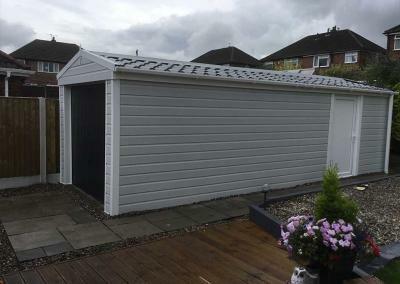 "Very pleased I chose Danmarque to replace my garage roof, could not fault mark and his team, I did look for other quotes from other companies but after talking to mark in person I knew he had a great company and his quote was really good value for money, there craftsmanship was very professional." "Mark and his team have been very professional in their approach from my first contact. 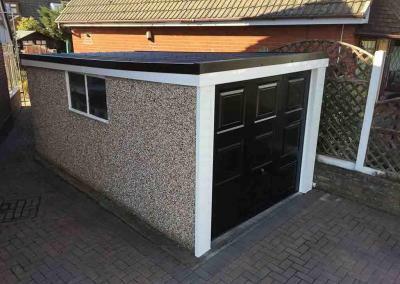 The new garage roof was installed in a day and the end result is extremely pleasing. 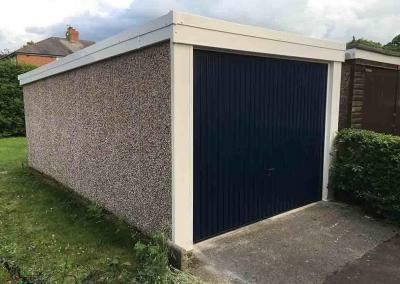 The thunderstorms we had in the south east after the installation has shown that the garage is finally dry. Well done Mark"
Mark and his team have been extremely professional in their approach from start to finish. Phone calls and emails have been answered promptly and efficiently and they came when they said they would. They completed an excellent job for an anxious relative of mine and their understanding of the situation minimised the stress for her. I am delighted to recommend them. 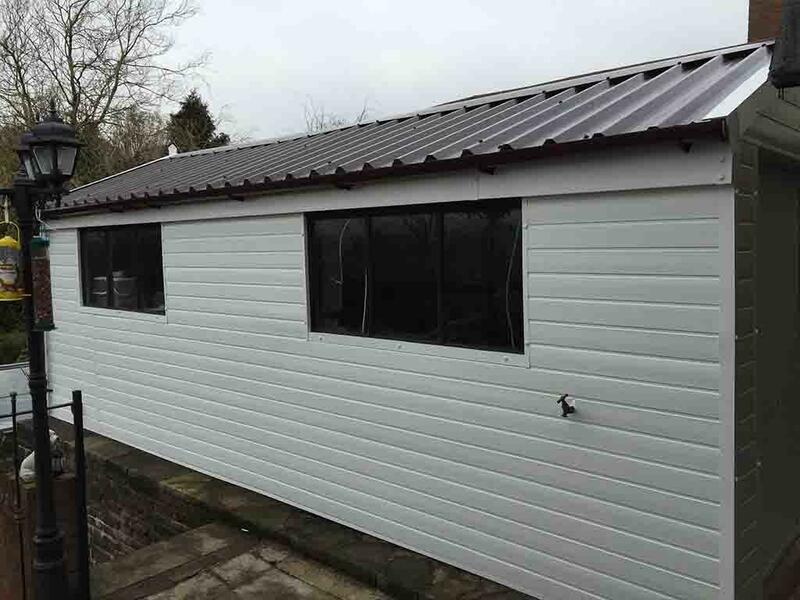 "I left it for a few months before writing this testimonial; needless to say the roof has gone through extreme weather, rain, high winds, frost and snow. The workmanship is of a high standard, with only quality materials used, even down to the fixings. 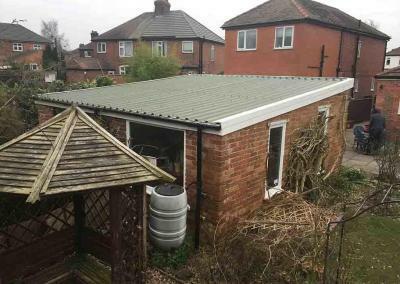 The roof has exceed expectations, its sturdy, dry, drip free and no condensation as promised. I’m very satisfied and would recommend Mark and his team." "I was really impressed by this company, despite being so far away they still arrived to start work at 8am. They didn’t take any breaks or disappear for hours on “dinner” they just jumped right in and got the job done. Many thanks." 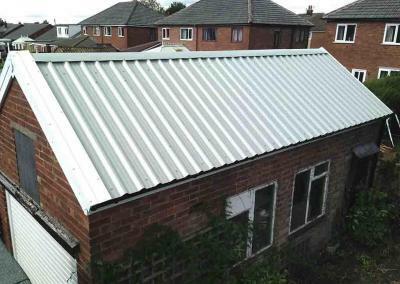 "Delighted I chose Danmarque against the other quotes I received for replacing my old asbestos garage roof. 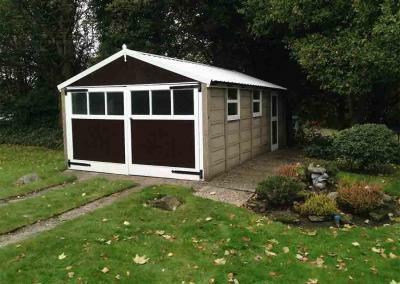 Mark travelled down to Dorset to survey my garage in person and offered excellent advice. John and his fitting team completed the job superbly. I strongly recommend Danmarque." 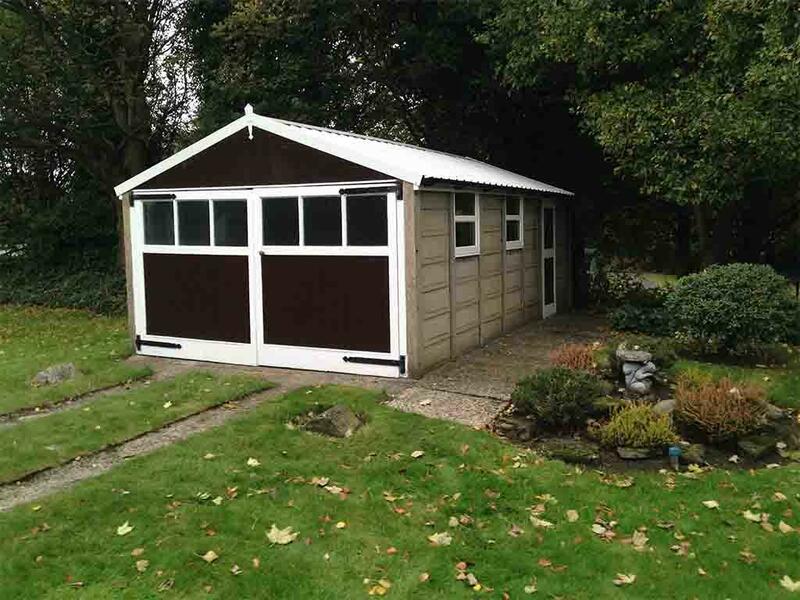 "Excellent team of Skilled Men who proceeded with the work without fuss from start to finish, Producing a quality transformation as advertised, to the standard and price agreed -Very well satisfied." 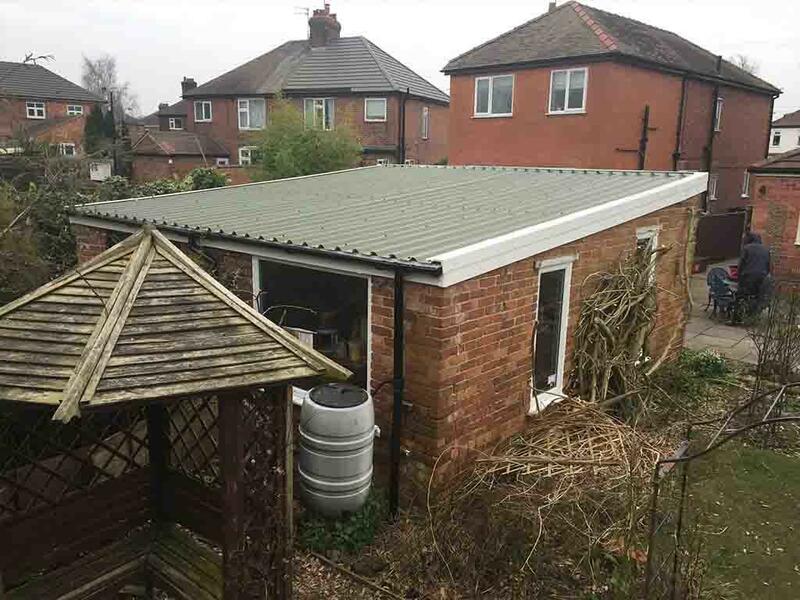 "I received a very prompt response to my initial enquiry, I then received a very detailed quote and finally I had a new roof on my garage with which I am very pleased." 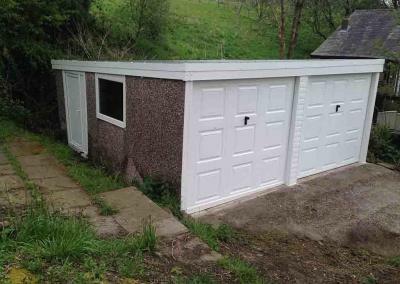 "I contacted this company on NewYears Eve…I never expected them to call out and view the garage that day! They did and their online quote smashed local companies prices. 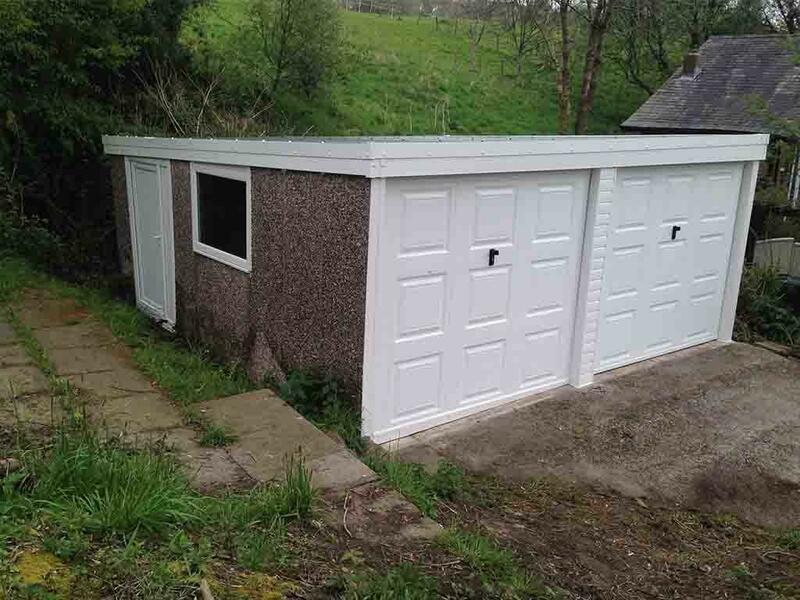 They agreed to do it asap and 2 weeks later I have a new (now bone dry) garage with a nice shiney new door too!! They arrived on time and didnt stop all day. No mess…no damage to garden…. brilliant… would recommend them to anybody…in fact one of my colleagues is getting his garage via them." "Mark took a lot of care working out what was needed. He and his team did exactly what they quoted for. They worked hard during bad weather and took care to make sure nothing was damaged. I would definitely recommend Danmarque if you want a professional finish." 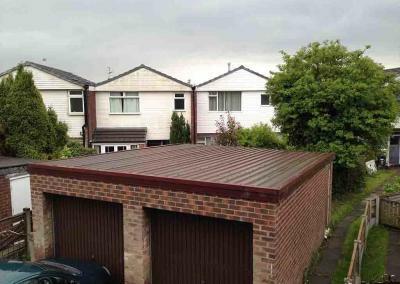 "Thanks to Mark and the lads we finally got rid of our ugly leaking garage roof! A quick and clean service provided using quality materials. Highly recommended. Many Thanks. Val Wynne, Northwich"
"All done and dusted in a day. Very pleased with the completed work and the guys were polite and efficient. Looking forward to enjoying a dry garage at last. Highly recommended." 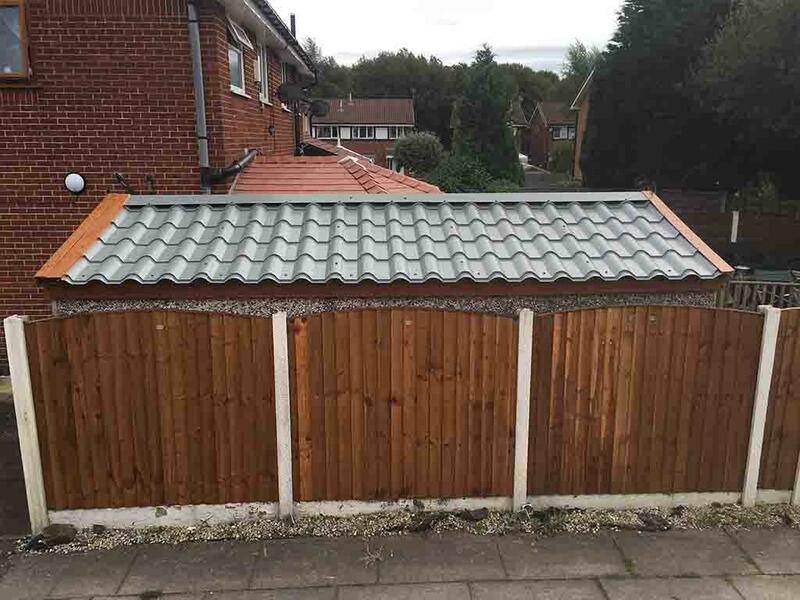 "Replaced garage roof in a day, first class job and cleaned up after themselves. Could not be more pleased, thank you." "Really professional company. Mark was friendly and informative on the first visit so I had no qualms choosing them over the other quotes I had. Only one snag which I was kept up to date with and caused no problems." "Thanks Mark your two lads were very curtious and did a first class job,site left clean and tidy. Would definitely recommend their services." "Job well done lovely lad’s cleaned up after they finished would be happy to recommend this company in fact waiting for a price for further work"
"Should you need your garage roof replacing, you do not need to look anywhere else . 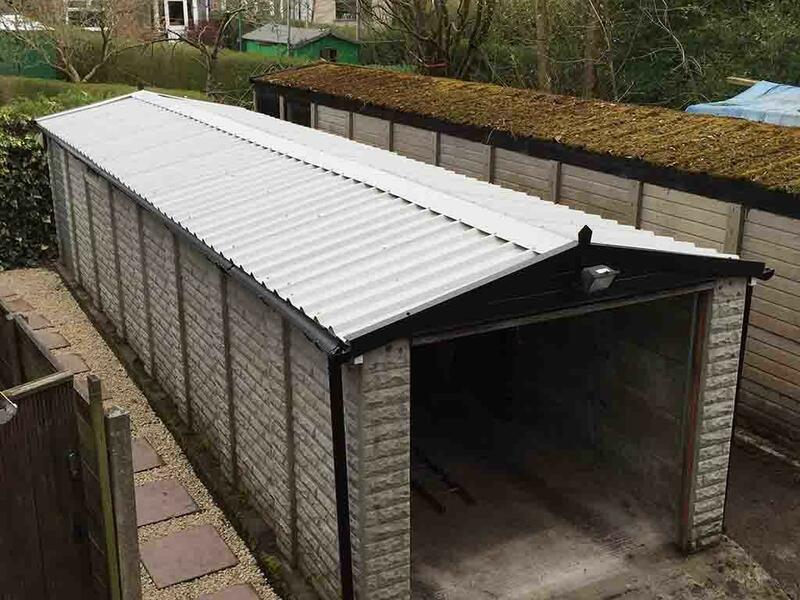 Today Danmarque have removed my asbestos garage roof and replaced it with new plastisol roof panels, All asbestos safely removed, no mess left behind and all completed in one day. Thanks Mark for an excellent job I cannot praise you and your hard working team highly enough and have no hestitation in recommending your Company." "What a difference a day makes………. 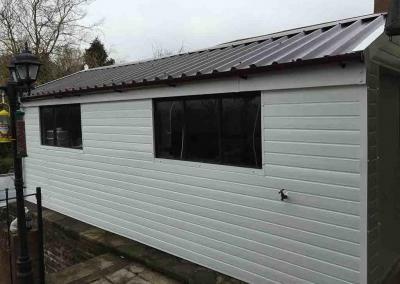 In less than 8 hours asbestos roof, window, side access door, front doors, barge boards and gutters all removed and replaced. The team never stopped in all the time they were on site and the place was tidier when they left than when they arrived. EXCELLENT." "Excellent job. The lads who came did a superb job. Replaced our roof and it now looks like a new garage. Friendly and polite and cleaned up after themselves. Excellent service and great value for money. 10/10." 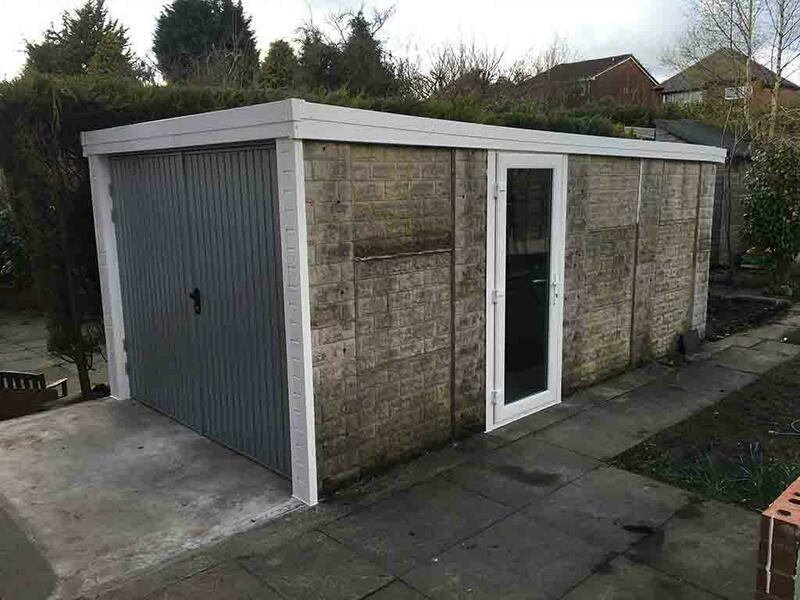 "The two Danmarque representitives turned up when they said they would and immediately got to work removing the old roof. Four hours later the garage was fitted with a superb new roof. The men were very professional, polite and left no mess. I would highly recommend this company." 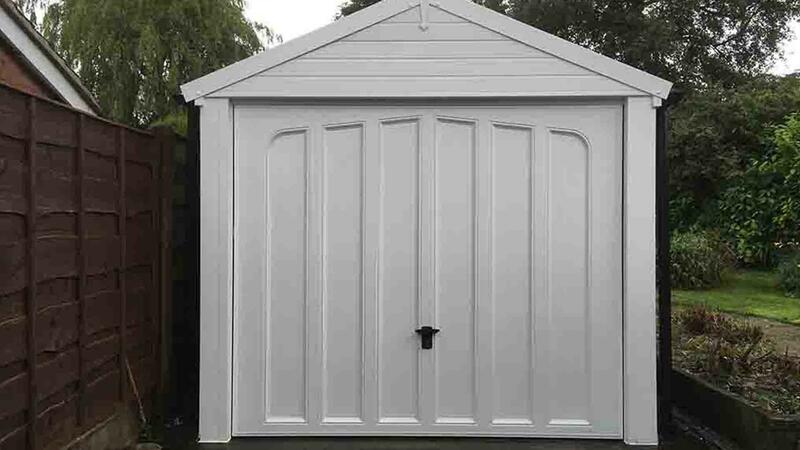 "I am extremely pleased with the work done by Danmarque Garages and have no hesitation in recommending them. 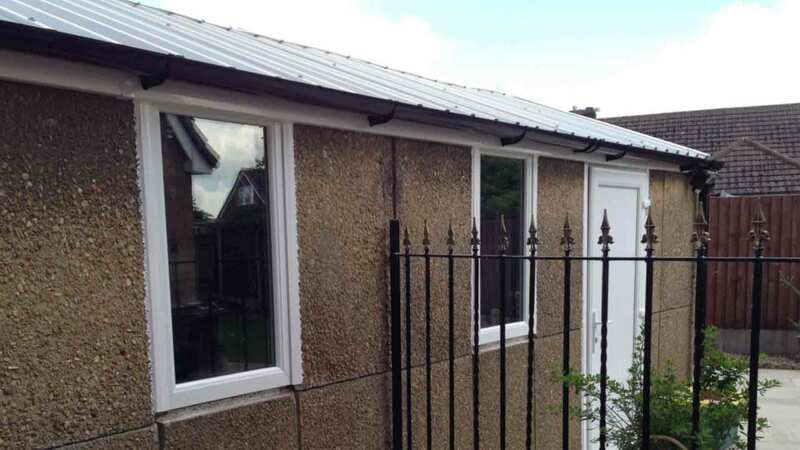 They did an excellent job of replacing my old, asbestos roof and garage window at a very competitive price. They were professional, friendly and hardworking. A pleasure to deal with." 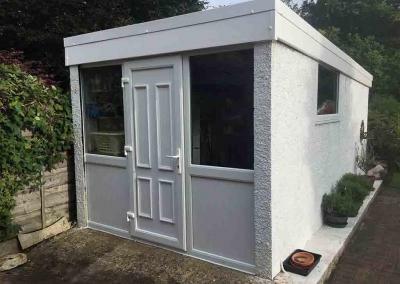 "We are very pleased with the work Danmarque have done, would not hesitate to recommend them. Very polite workmen who never stopped!! Our garage looks like a new one, and no more leaks. Thank you Mark and your great team." "Professional, excellent service provided. Very pleased with the outcome and would highly recommend. Thank you." We offer free advice and estimates, speak to a member of our team to request your FREE, no obligation quotation. You can obtain your free, no obligation quotation by giving us a call, sending us an email or filling out our online contact form. Once you have received your quotation and your ready to proceed, make an appointment with one of our surveyors to inspect your project.